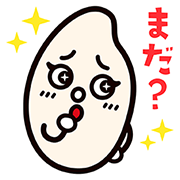 http://www.line-stickers.com/ – Hotto Motto School of Taste Line Sticker | School’s in session! Great flavor and great fun await with the members of the Hotto Motto School of Taste. Season up your chats today with this unique cast of characters! Friend Hotto Motto’s official account to get the set for free. Available till May 15, 2017. Today, I begin love with TSUBAKI.